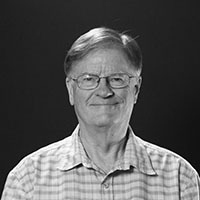 Prof. John Percy is an active Professor Emeritus in Astronomy & Astrophysics, and in Science Education at the Ontario Institute for Studies in Education (OISE-UT). He was a founding faculty member of the University of Toronto Mississauga in 1967 and retired from there in 2007. His research deals with the nature and evolution of stars, as deduced from variable stars which change in brightness. He is a supervisor and mentor of undergraduate research students, and is known internationally for encouraging and facilitating research in variable star astronomy by skilled amateur astronomers. Percy is deeply engaged in astronomy outreach: giving courses for later-life learners, and public lectures in libraries and other venues, exploring the interdisciplinary nature of astronomy, and promoting and supporting the teaching of astronomy in schools. He was an inaugural recipient of the University of Toronto President’s Teaching Award in 2007, and the inaugural recipient of the Canadian Astronomical Society’s Qilak Award in 2012, for excellence in communicating astronomy in Canada.